In a world with ever-increasing water standards, efficiently managed coagulant dosing is an area that can never have too much attention. Phosphate measurement is one way you can ensure compliance with relevant guidelines whilst simultaneously increasing plant efficiency. As one of the essential nutrients for aquatic plant and animal growth, the monitoring of phosphate levels throughout water treatment is paramount, not only when regarding the toxicity of effluent in terms of industry regulations, but also the damaging effect it can have on water courses through eutrophication caused by algal blooms. Through utilising phosphate measurement as a feedback control of coagulant dosing, you can save time and money as well as improving plant operations. This additional process variable, using a less traditional media, can be used to improve flocculation processes, thus reducing the risk of carry over of excessive flocullant chemicals in to the latter stages of treatment. This in turn helps to mitigate the risk of harmful chemicals reaching the final effluent and removes the additional costs of balancing pH levels in order to conform to the aforementioned safety legislation. A further benefit to using an online phosphate measurement as a feedback control is that plants no longer have to rely on past records, previous experience or fixed algorithms to determine coagulant dosing rates – a collection of practices that can prove unreliable at best. A live, online measurement of phosphates for use as a feedback control is not only beneficial in terms of coagulant control, but also as an arbiter of plant efficiency and quality of effluent. 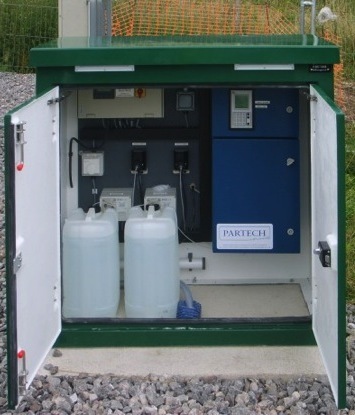 The Systea MicroMac C Colorimetric Analyser, supplied by Partech, is a well established and highly regarded chemical analyser which has been deployed as part of coagulant dosing control systems throughout the UK across a wide range of industry and municipal applications. To discuss the finer points of process instrumentation or to discuss a free site-specific survey regarding how to implement feedback control of coagulant dosing using phosphate measurement, please contact one of our Technical or Sales Engineers on +44 (0) 1726 879800 or [email protected].